Property 9: Tranquil riverside cottage in grounds of watermill. 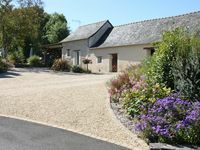 Property 20: For a stay in 2 very quiet in the Val de Loire countryside! Property 33: Loire Valley cottage near Saumur, peaceful but close to village amenities. 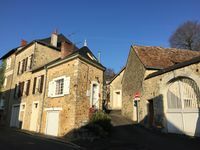 Property 40: Traditional 300 year old French Cottage with WiFi, private pool and garden. Secluded cottage nestled in beautiful gardens at the end of a lane! Property 46: Secluded cottage nestled in beautiful gardens at the end of a lane!